Francesco Compagno (Italy) is the best scorer of the 51st edition of European Championship Under 20. In 6 matches played, he scored 14 goals. In second place Pol Manrubia with 11 goals, author of the decisive goal of the gold medal. 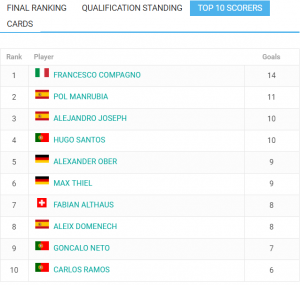 In third position the spanish Alejandro Joseph 10 goals and the portoguese Hugo Santos 10 goals (in 5 match). 5-6th for two germans, Alexander Ober and Max Thiel with 9 centers. 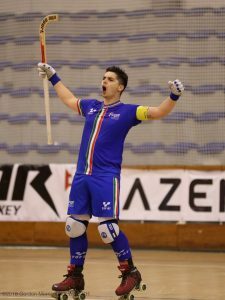 The best scorer in last 6 years was Francesco Compagno (Italy): he scored 26 goals in 17 appereances with the goal average 1,53. He played 3 European Championship in 2014-15, 2016-17 and 2018-2019. 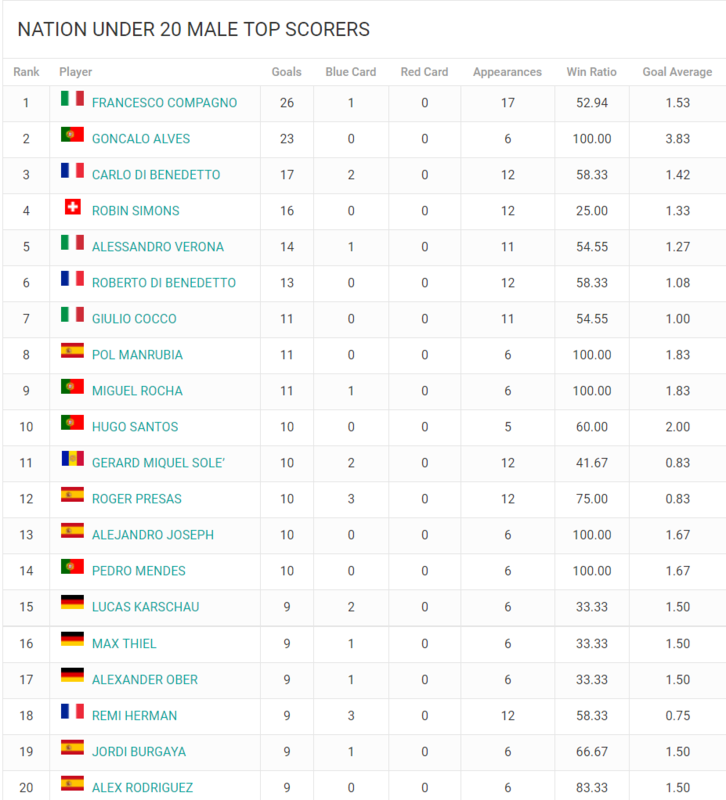 In the second position the portuguese Goncalo Alves has scored 23 goals but only in one championship: he has the best goal average with 3,83. 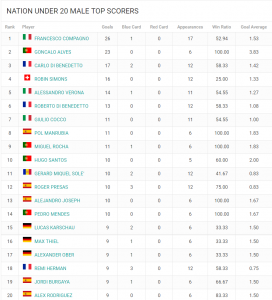 In third position Carlo di Benedetto (France) with 17 goals active and in fourth Robin Simons (Switzerland) with 16. 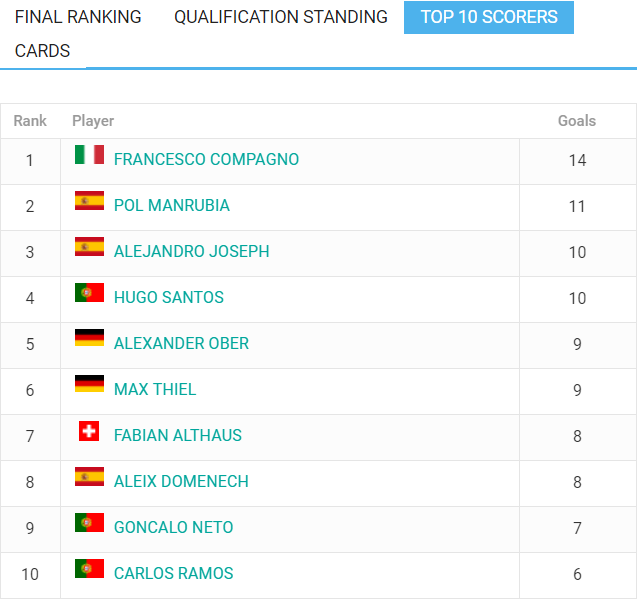 The first spanish in the top scorer list is Pol Manrubia with 11 goals, ranked in 8th position.